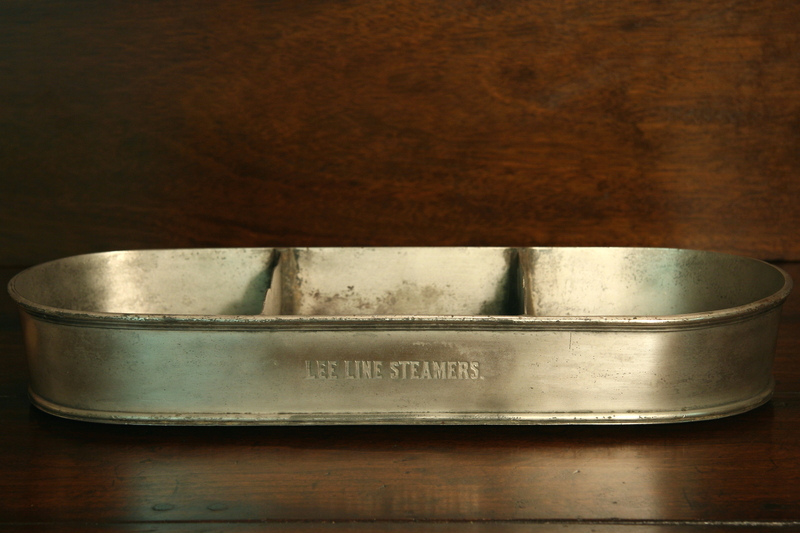 Many Lee Line boat furniture, serving dishes, old equipment such as steam whistles and spotlights were lost when the Lee Line wharfboat anchored at the foot of Beale Street in Memphis burned in the mid 1920’s. I have one of these lee line steamer serving trays. It came from my great grandmother who lived in Carville, KY on the Ohio River. Is there any way of knowing what boat it came from? How rare are these?